Women in Gilgit-Baltistan actively contribute to the socio-economic development of the region. They have brought accolades on both national and international arenas. However, there is not a single gymnasium for girls in G-B where pursuance of sports and physical fitness can be taken care of. Critics in Pakistan usually consider that planning of cities is an afterthought. Once cities run out of its resources the Government starts its passive response afterwards. It is therefore important that policy makers and town planners join their heads in making our cities as efficient as possible for people from all walks of life. By providing women with such spaces, opportunities and programs, they can be effectively empowered to take on a more self-confident and proactive role in the community. Many women feel empowered by doing activities outside their home, establishing networks, participating in public life and taking matters into their own hands. For example those girls who participate in sports are more prone to feeling power and energy. As a result of which they can live a more fulfilling life. There are various case studies from around the world which show that more public spaces for the populace positively impact their socio-economic development on society. There is no cavil to the proposition that there are still breakthroughs in skills acquisition, learning and leadership that happen most easily in women-only settings. Grameen Bank has a record of great achievement with small business entrepreneurship by training low-income women in all female settings – so much so that it is a target for government seizure; as does the Barefoot College in Tilonia, India, founded by Bunker Roy in 1972, and the subject of a recent documentary by Jehane Noujaim, “Rafea: Solar Mama”. This program turns desperately impoverished, illiterate women from Columbia, Kenya and Jordan into solar engineers within a six-month training period. The film shows how the sisterhood, support and freedom from male intervention and control liberate these women’s capabilities and confidence. Those areas of urban planning which have a direct impact on women are: housing design, parks, pavements, safety and transport. 75% of bus journeys are taken by women and only 30% of women have access to a car during the day, but urban schemes are designed around car drivers and commuters. Many of the problems of urban planning simply reflect women’s domestic inequality: the fact that women still do the bulk of childcare, looking after the elderly, shopping and cleaning. Women are less likely to have a simple journey to work like men because they break up their journey, stop off at the childminder, school and then work and maybe the shops and school on the way back. Considering the patriarchal society that we live in, public transport favors the male commute in and out of the city center. Since I belong to a region which is known worldwide for its landscape and cultural heritage, it is important to contextualize the debate. Women in Gilgit-Baltistan are actively contributing to the socio-economic development of the region. They have brought accolades on both national and international arenas. 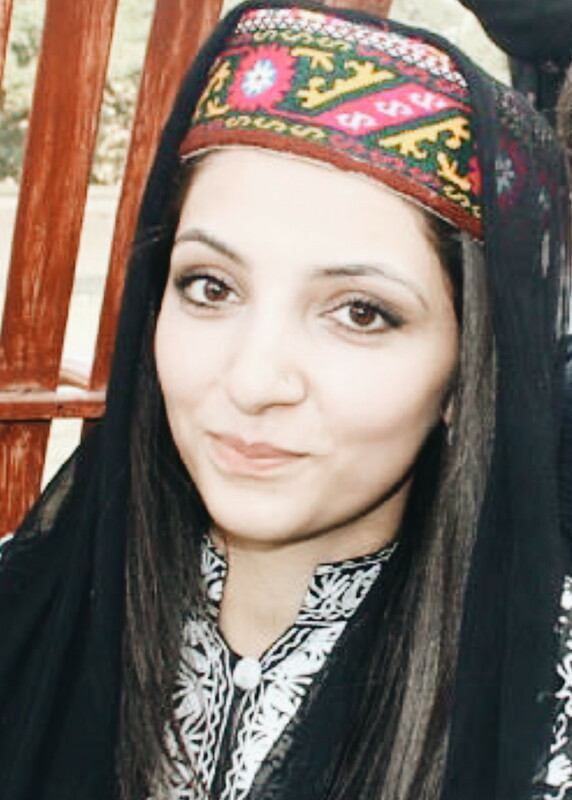 Women of G-B have stepped into professions considered daunting even by men. From Mountaineers to Skiers and from Business leaders to Entrepreneurs, women have competed on merit in all walks of life. A small peek into history shows the active role women played in the past. The first canal system introduced in the region was by none other than a woman ruler known as Dadi Jawari (Grandmother Jawari). Women of G-B have the potential and capability to come up with revolutionary ideas. In addition, young girls of the region have not shied away from proving their mettle in academics and sports. However, there is not a single gymnasium for girls in G-B where pursuance of sports and physical fitness can be taken care of. The development of such centers can provide professional training for girls who want to excel their skills as tourist guides, artists, chefs, athletes, and poets. Like all regions of South Asia, women work from dawn to dusk in their respective walks of life in G-B. Women of G-B are great managers because they look after their jobs, families and farms working shoulder to shoulder with men. It is socially expected of them to cater to all these needs. Such duties and responsibilities can be performed at an optimum level if the happiness and leisure of these hard working ladies are catered to. There can be a number of avenues in order to achieve the said objective. Family gatherings at restaurants and attendance at musical programs with families can be very successful exercises to relieve from stress. Since G-B is rich in its cultural and musical heritage, joint ownership of the rich culture can also be advantageous for its development as well; considering that there are hardly any female poets or writers from the region. Thus, reciprocity can be seen between the growth of public spaces for women and the subsequent development of cultural heritage. Initiatives at the community level will prove to be stepping stones in this direction. Recreational Centers for women and girls should aim to provide unique opportunities for capacity-building. As a result, a chain reaction of fruitful outcomes will ensue. Women participating in such recreational activities can start to reach out via different campaigns and share their positive experience with their friends, families and neighbors. Thus, these spaces for women can help them release stress and share their experiences with each other. In addition, these forums can also enable women who are afraid to talk in the public to speak out for their rights and stand up for themselves. There writer has correctly pointed out in her research work that planning is an after-thought process here. Park, picnic points and other service facilities are acutely in in-sufficient supply to city women as are avenues for personal development activities for women in rural setup. Why? Because when you dismiss disgracefully efficient and honest officers, planners, administrators and managers on political whims and rhymes and recruit unmeritorious, incompetent political appointees then such things would not be new to your dismay. Without any doubt healthy societies thrive on engagement of women in all walks of life. It’s hoped due to recent venturing of females into physical sports would cause other women to muster courage to outdo in other fields as well. The hard clime and climate of rural side naturally toughens them for such things same needs to be given for mental activities. Public space for productive engagement is not only necessary for women but for men also as it keeps people fresh and productive. It will get multiplied when that is provided to rural and mountainous dwellers particularly in winter reason when there are not much work out in fields and woods. Absorption in indoor recreational, academic and vocational activities will not only be productive in building confidence in women folks but acquisition of skill will enhance their earning capacity also. Support to such initiatives needs not only community organizations’ financial help but also moral support of their menfolk. It will be having trickle-down effect. If women of Columbia and Kenya can become solar engineers in six months, I think women of Northern Areas of Pakistan are that much adaptable also. The main cause of survival for any initiative is its long term economic sustainability. If the activity happens to be any recreational sort, it needs to be funded on regular basis and in case of vocational engagement that needs appropriate planning of marketing to keep sales revenue at comfortable level. If not in profit territory at least at break-even point which will help keep the initiative floating.